Born in 1951 in London, British artist Richard Pikesley went on to study at the Harrow School of Art, the City of Canterbury College of Art and the University of London. His art education instilled in him a love for landscape and the effect of light and weather. 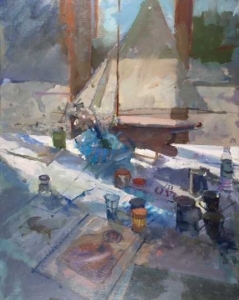 Dorset is his home and provides much of the motivation and inspiration for his paintings. 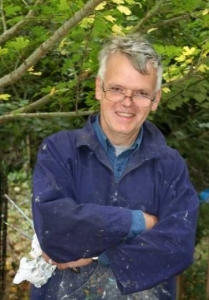 Richard is most famous as a landscape and seascape painter. 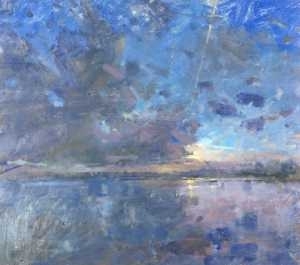 He is particularly noted for his awareness and understanding of his surroundings which has seen him recognised as a truly gifted painter of light. He captures movement and atmosphere faultlessly and he is able to share and convey this in his paintings. In 1974 he was elected to the New English Art Club NEAC and is also a member of the Royal Watercolour Society, RWS, since 1997. A regular exhibitor in Britain, including the Summer Exhibitions at the Royal Academy, and many overseas exhibitions. He has travelled widely and his works of Italy and France depict many well-known scenes. His oil and watercolours are highly sought after and hang in many private and public collections including S.G. Warburg Plc, Crown Estates, St. Johns College Cambridge and Hambros Bank. He also contributed to Watercolour Masters, Then & Now, a book written collectively by many members of the RWS.